Jewels – 17 ruby and sapphire jewels. Composition settings. Olive hole balance wheels. Plates – nickel. Handsomely damaskeened. Gilt lettering. Highly polished, cupped and beveled visible winding wheels. Recoiling click. Dust band. Balance – chamfered and polished compensating balance. Meantime screws. Breguet hair spring. New stationary hair spring stud. Patent regulator. Escapement – double roller escapement. Steel escape wheel. Tested on half time without hair spring. Adjustments – adjusted to temperature and three positions. Accurately rated. Dial – double sunk or fancy, glass enamel, ground edge dial. Finish – beveled head jewel, plate and case screws. Gold round arm center wheel; train wheels swagged round arm, with gold effect. 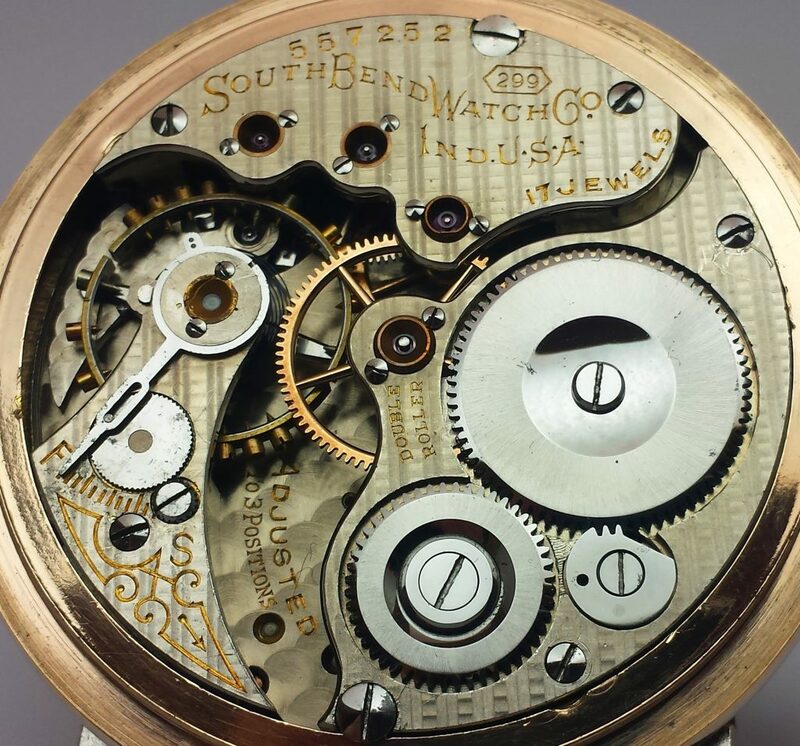 A highly grade movement that will give exceptionally accurate service under all conditions. Shipped in nickel, glass front and back , skeleton display case. Open Face. First run – 1908, last run – 1908. Total production 3100.